Low quality print version is a PDF. Image quality is lower to reduce download time. 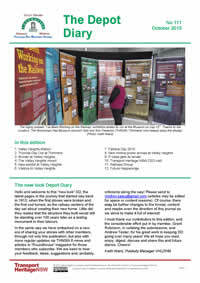 The high quality print version is a large PDF, typically about 8 times bigger than the low quality print. Image quality should be clear in a printout, but download will be slower. 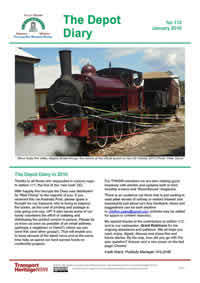 Depot Diary is the journal of the Valley Heights Locomotive Depot Heritage Museum, available to VHLDHM members. Page Updated: Monday, 11-Mar-2019 19:23:22 AEDT.